Slickdeals News & Articles News Is Amazon Gearing Up for a Huge 20th Anniversary Sale Event? Is Amazon Gearing Up for a Huge 20th Anniversary Sale Event? Amazon has confirmed a big sale event on July 15 that they're calling Prime Day, which will be open to all Prime members. Amazon has now confirmed a big sale event happening for their 20th anniversary and it's going to be a one-day event called Prime Day on July 15 from 12:01 a.m. until the end of the day. The sale is exclusive to Prime members and will feature new Lightning Deals throughout the day, sometimes as often as every 10 minutes. GeekWire also says there will also be seven "Deals of the Day." According to Amazon we can expect more deals than on Black Friday, so get ready to spend some money. Kudos to user o0adam0o who first posted it on Slickdeals, it has definitely gotten people excited with 250+ comments and counting. 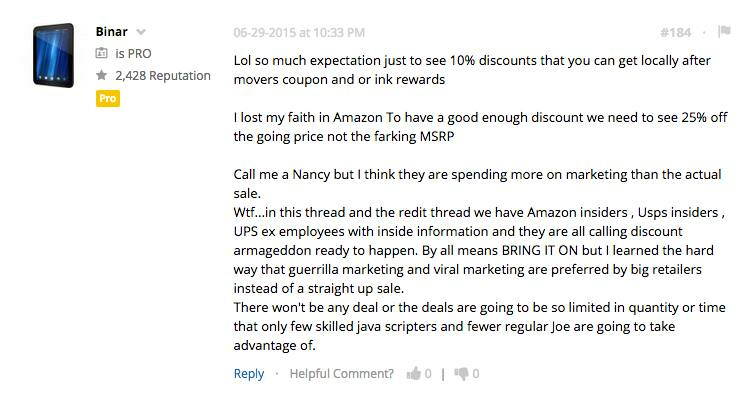 There has been no official word from Amazon yet, but the rumor is picking up a lot of steam. Since Amazon isn't coming out to deny these rumors, we can most likely expect some kind of sale, but only time will tell if it's going to be an "epic" one or not. Our community is split on whether this is actually going to end up being as great as it's being hyped up to be. Some are gearing up for a mega sale of Black Friday proportions while others are preparing their "I told you so" posts. 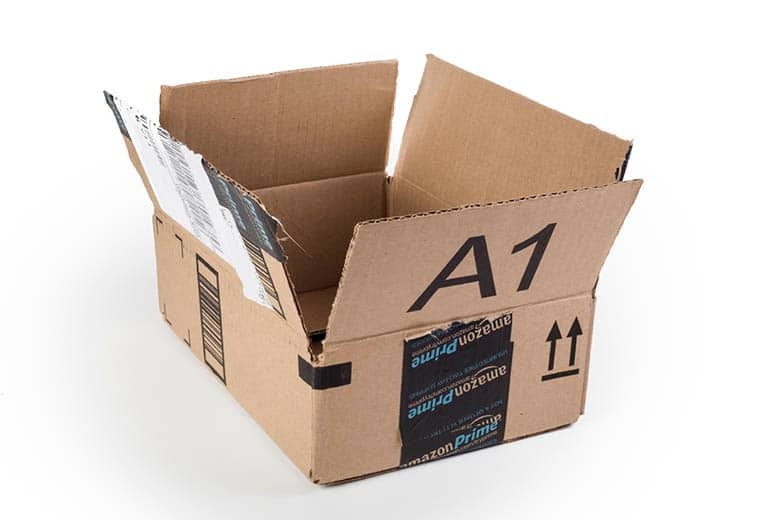 On a side note, if you're interested in seeing how much you've spent shopping at Amazon so far, you can request a report here. You can see how much money you've saved over the years as well. Here are some excerpts from the thread. If you're an existing Discover IT card holder you might be out of luck unless you just signed up for it. You can still sign up for this card offer here. We'll keep a close eye on how this pans out, so check back as we get closer to July 12.